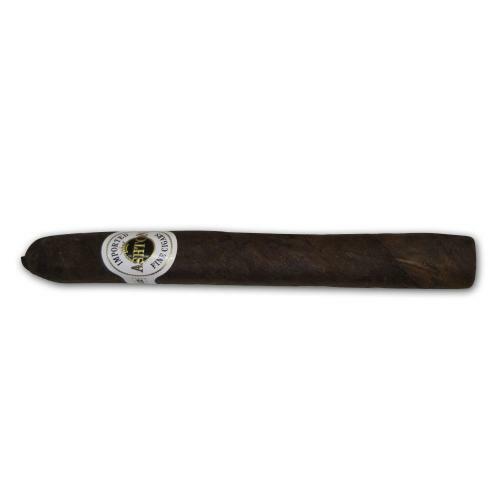 These Ashton cigars are crafted in the Dominican Republic and are famous for a smooth taste and unerring consistency, Ashton Classic Maduro cigars are crafted using a seamless blend of 3-4 year old Dominican fillers blanketed in a Connecticut Broad leaf wrapper. The Ashton Esquire cigars mirror the Ashton Classic and Ashton Aged Maduro lines, so you will be introduced to a creamy smoke with sweet espresso notes. These little cigars are perfect for any occasion - you may enjoy these when you desire a smooth, savory smoke! Beautiful warm and medium bodied smoke, nicely spicy and bitter sweet. Short but perfectly formed. In my top three quick smokes. These are a really nice smoke for when smoking time is limited and I would give them a 5 star rating, but I feel like they priced too high for their lack of smoking time and so, I will rate them 4 out of 5.